Make Your Garage Door Last Longer. Schedule An Appointment Today! Garage doors are heavily used objects. In most households, they are used multiple times a day. As a result, it comes as no surprise that these doors often wear out much sooner than expected. If a worn garage door is not taken care of, it is almost inevitable that it will begin to malfunction until a breakdown. To avoid this problem, you can count on the maintenance services we offer here at Garage Door Repair Buckeye. Our services are reasonably priced and designed to keep your door in prime condition. Our local customers have been pleased with our services over the years. Much of this can be attributed to the brilliant job that our technicians put in day in and day out. They are highly experienced professionals with the expertise required to provide quality maintenance services. Safety tests are an integral part of any maintenance project that we carry out. The objective of these tests is to ensure the door is fit for use - we'll test the sensors for functional issues and check for balance or tension issues. Needless to say, if we identify anything amiss we'll get this rectified promptly. We'll also check your system for rust and corrosion - all the moving parts should be lubricated on a regular basis. If it's been a while, we can apply the lubrication for you so that your system continues to run smoothly. Our technicians have a keen eye for spotting early signs of damage. Once these problems are brought to our attention, we can advise on the best course of treatment so that you won't be confronted with more problematic issues down the line. If you feel your garage door has not been up to the mark as of late or want to ensure you're keeping doing everything possible to keep deterioration at bay. To discuss our maintenance services in more detail, contact our team at Garage Door Repair Buckeye - we'll be glad to hear from you! 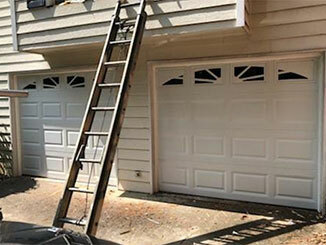 We offer a full range of repair, maintenance and installation services for your home’s garage door system. Whether you need an urgent repair or are considering investing in a new opener, our team is ready to help. Get in touch today for an appointment, or learn more about our services by exploring our website. Our technician will contact you before arriving. Until then, feel free to browse our website! Garage Door Repair Buckeye is at your service!